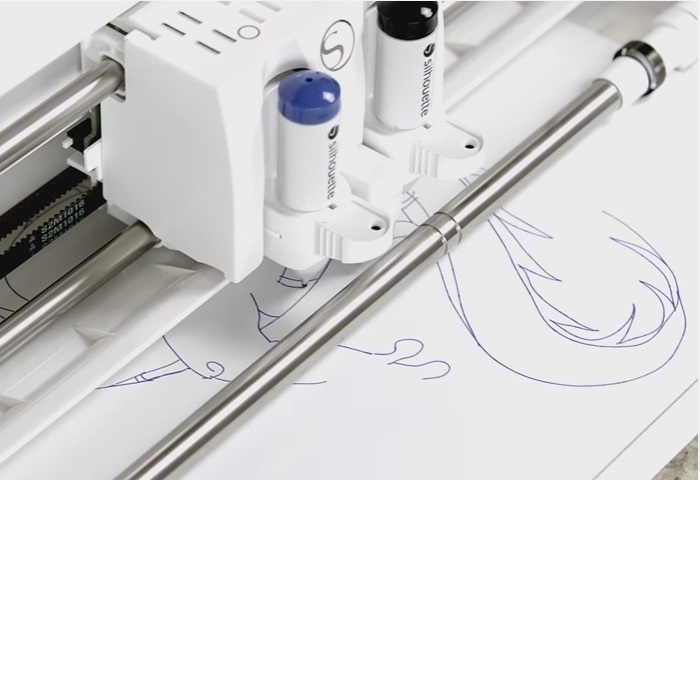 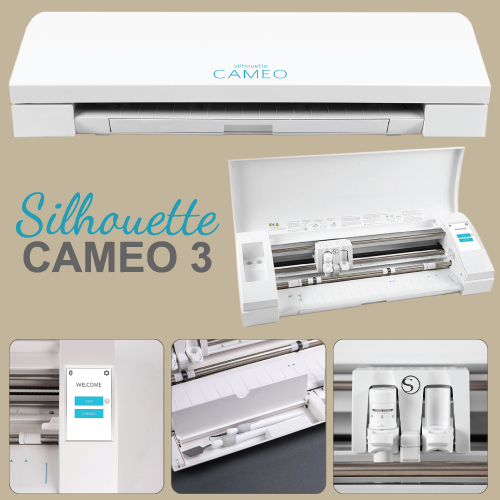 The Silhouette CAMEO® 3 is the ultimate DIY machine. 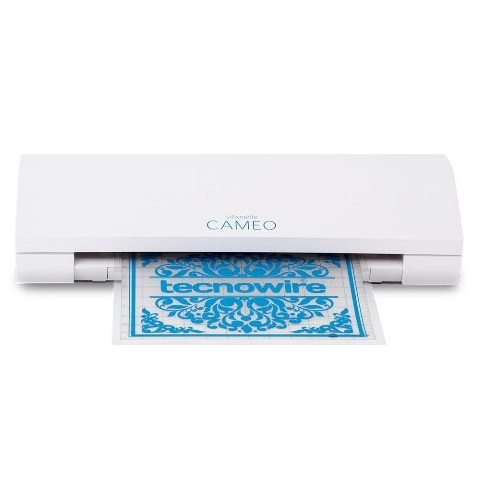 It plugs into your PC or Mac® with a simple USB cable and uses a small blade to cut over 100 materials, including paper, cardstock, vinyl, and fabric up to 12 inches wide and 10 feet long. 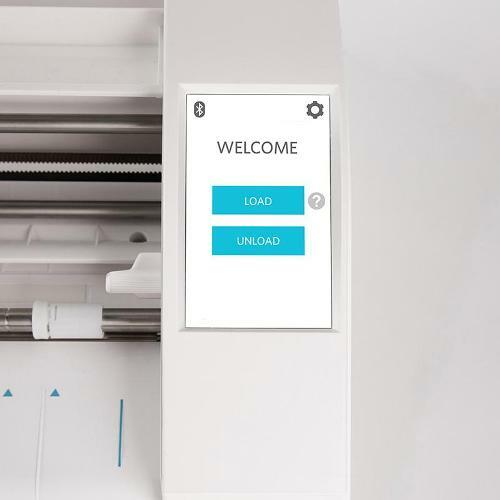 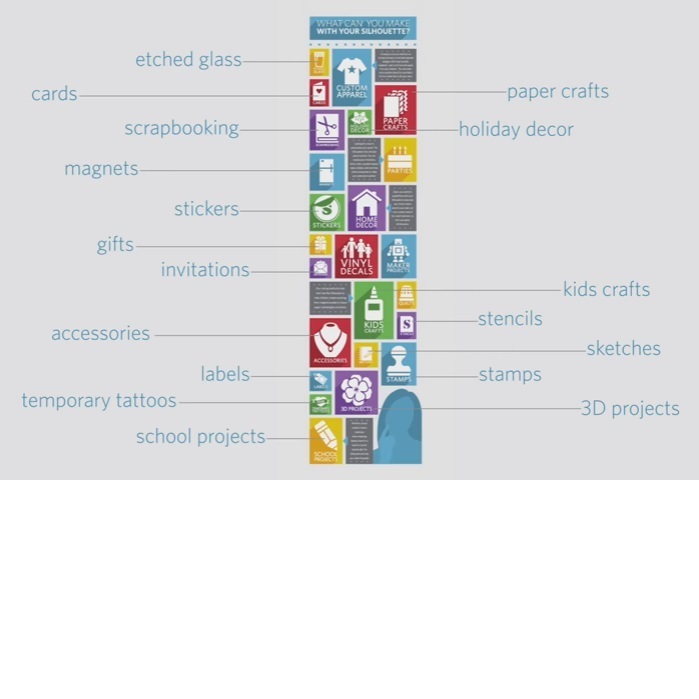 The machine also has the ability to register and cut printed materials and is PixScan™ compatible.